(Newser) – Twitter changed its star-shaped "favorite" icon to a heart-shaped "like" icon Tuesday. Understandably, this has torn the social-media community asunder. 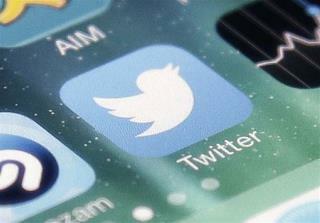 CNET reports the heart is an attempt to simplify Twitter to attract more users and advertisers. Akarshan Kumar at Twitter explains that the "like" heart is universally understood, while the "favorite" star could be confusing. "Not everything can be your favorite," he adds in a blog post. But not everyone feels that way. The Verge points out how versatile the old star was, being used for everything from bookmarking a tweet to supporting a thought to trolling a hater. Fortunately for Twitter users afraid of change, Gizmodo has simple six-step instructions to replace the "smarmy" heart with a star (or any other emoji). Now here's a random sample of what verified Twitter users—who should expect their blue check marks to get replaced with rainbows or clovers any day now—think about the new hearts. John Scalzi: "Hearts are the New Coke of Twitter, and I for one can't wait to Favorite Classic something soon." Megan Neuringer: "hey tweeter HQ the hearts are A LOT it's like do i LOOOOVE a tweet? that's a lot of pressure i feel a tightness in my chest"
Lauren Lapkus: "I see the hearts now, and let me tell ya, they're super cute"
El-P: "WHAT ARE THESE HEARTS IM SEEING ON TWITTER THIS IS AN OUTRAGE never mind im used to it now." Andy Richter: "Hearts? You guys suffer from worst case of corporate ADHD ever. Stop! Please! And bring back 'People I Follow' while you're at it"
"Understandably, this has torn the social-media community asunder." Why is this so upsetting? Like in the old days...you knew the Christians were not up to any evil when their arguments were about how many angels fit n the head of a pin.....now I have to go cut wood so when winter finally comes, I'll be warm.